Access a universe of material with this flexible, intuitive open source learning platform. In a "flipped classroom," students are introduced to content at home and then go to school ready to interact with teachers. Khan Academy video content is a popular resource for many flipped classrooms, and the concept behind it has revolutionized education for many students. As stated on its website, you can learn anything at Khan Academy—as long as you can access the video content it shares online. But what if your school's web filter blocks YouTube or Khan Academy content, or you live in a remote location with little or no broadband access? Fortunately, there is a solution: KA Lite, a lightweight Django app that serves core Khan Academy content from a server in your classroom or home. Designed to be easily accessed by students, KA Lite includes 7,000 videos and 20,000 interactive exercises. 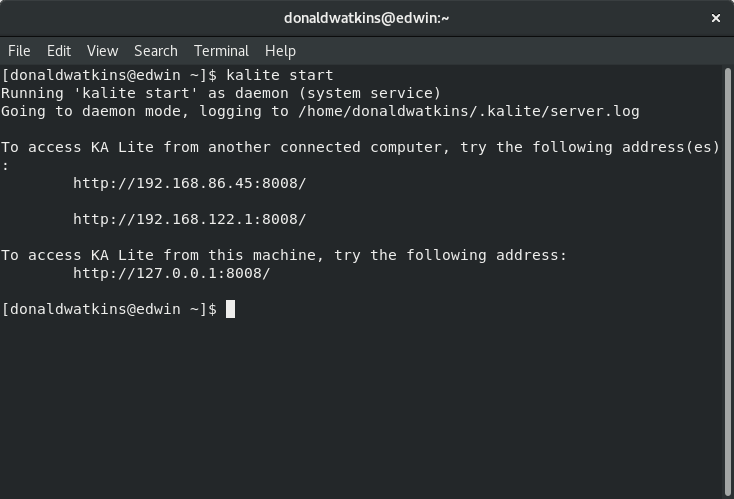 KA Lite can run on Windows, MacOS, or any Linux system, including Raspberry Pi with Python 2.7 (for 30 or fewer clients). The minimum requirements for a KA Lite server are quite modest: 256 MB of RAM, a 500-Mhz CPU, and 265 GB of hard disk space for the full installation. 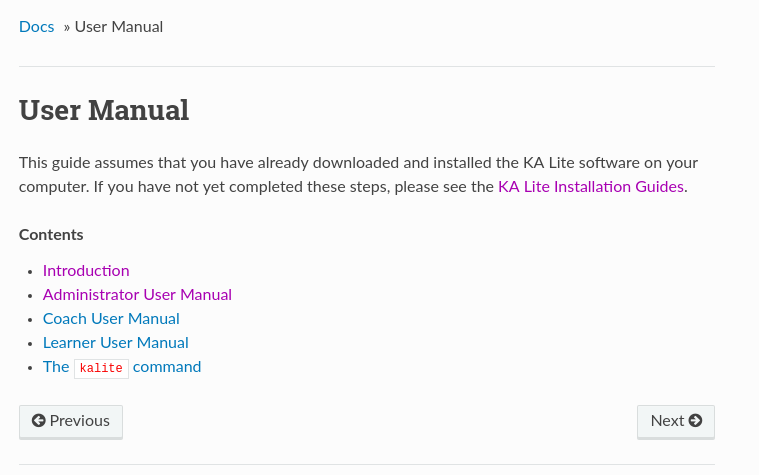 If you are an Ubuntu or Debian user, KA Lite provides excellent documentation for installation. Eager to try out my new installation, I pointed my browser to that IP address and filled out an administrative login screen. After completing my self-selected credentials, I was able to log in and was presented with a dashboard of items to accomplish. 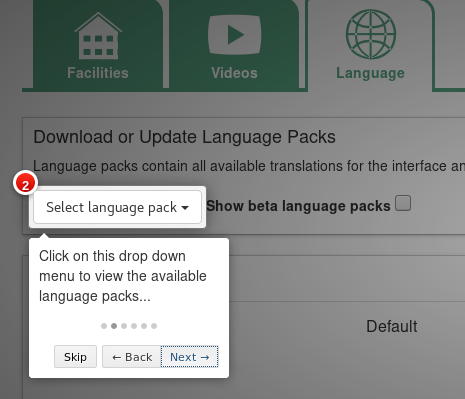 The next step was to register with the KA Lite Hub and select a language pack from options including Polish, Arabic, German, Hindi, German, and eleven more. I followed the directions to download the videos I'd selected. The documentation is clear and easy to follow, and in short order, I found myself with a great learning machine. According to its website, KA Lite has been used in situations ranging from a homeschooling family's road trip to a classroom of students in India to a correctional facility in Idaho. Accessible from the Documentation tab on the main page of the installation, the User Manual and documentation answered all my questions. Designed for students and teachers alike, KA Lite provides self-paced learning on a variety of topics. I found it easy to navigate the lessons, and a feedback system allows teachers and parents to focus on the needs of individual students. The student registration process involves filling out a simple web form; once that form is created and the student logs into KA Lite, all of their work and progress through various topic areas is tracked. 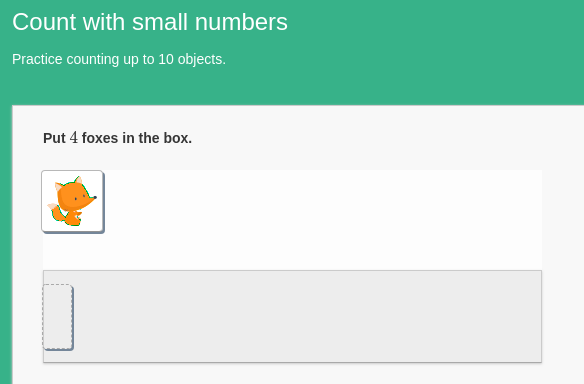 Here is a sample lesson for elementary students: Counting with small numbers. This lesson includes exercises for students to complete and videos to explain the process. 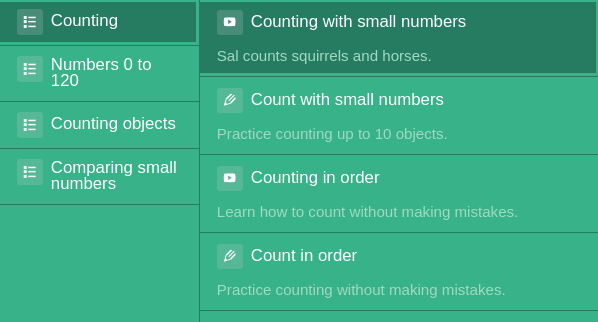 You can create groups in KA Lite, track students' progress, and export data. Topic areas include Math, Science, Economics and Finance, Arts and Humanities, Computing, Test Prep, and Colleges and Careers; there is also a resource area for teachers, administrators, and students. The content of KA Lite is simply amazing, and I encourage you to try it. The KA Lite codebase is released for use under the open source MIT license, and the Khan Academy videos that are downloadable into KA Lite are released under a Creative Commons Attribution-NonCommercial-ShareAlike 3.0 United States license. Contribute code on the KA Lite GitHub Wiki. I have been lucky enough to work around the world in various countries with poorly developed telecoms infrastructure and am always keen to find out about solutions to the problems this poses.